Known in advance through occult knowledge? Engineered by the dark forces power? 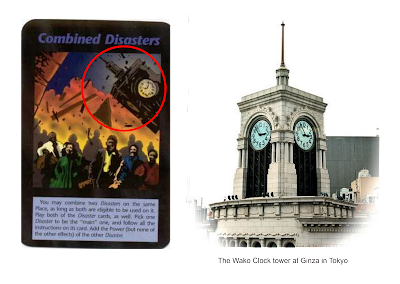 "Combined Disaster" card of Illuminati Card Game proves that - The Japan Earthquake disaster was planned to bring down Japan. i dont understand how these card work? Try considering notions of alternate, stacked universes. These may not be entirely separate. Some believers go so far as to say that high level universes can look down on others that can't look up. Needless to say, we are of lowly solid 3D form, with 9D supposedly at the top. Hence, we are not only vulnerable, but are exposed to the possibility of hidden (occult) enemies. Maybe the combined desaster card could mean something else: The people in the foreground are from different countries and have the olympic colors. In the background you see a big triangle like those flood lights in the olympic stadium that look like the Illuminati symbol. Maybe in 2012 the stadium explodes? Let´s wait and see. If it blows up I will become a beliver. We know next to nothing about our world. And those with that understanding know much more than the ones that seem to think that they have it all figured out. You state your beliefs and opinions as facts. I encourage you to explore the possibilities and question everything with an open mind. You might learn something﻿ and it will help you to avoid coming off as a judgmental and arrogant person. 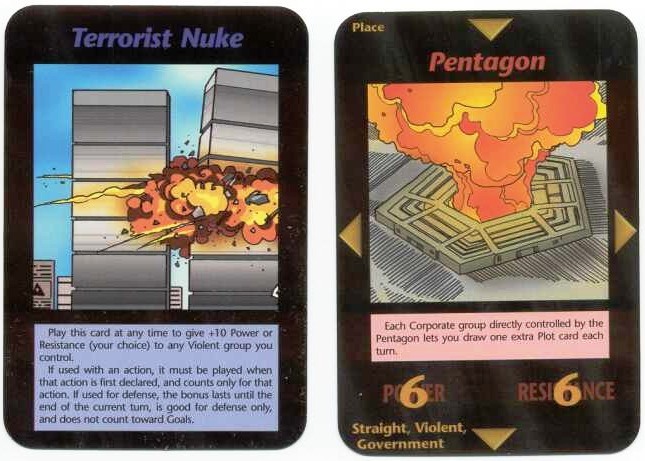 They are just a bunch of cards with disasters on. disasters look the same whether they happen in 1995 or 2024. I cant beleive people are taken in by this, claiming to enlightend and itelligent they show a distinct lack of common sense. Yes one day the ecomonmy will collapse its temporary like everthing else, why are these things such a shock to people? I heard if you try to buy a set of these cards with credit that your credit card gets cancelled. Omg, I believe more and more in the Illuminati, how could this two events have time and be so accurate?? I'm definitely not a 100% skeptic anymore. Thanks for sharing a very interesting article about Illuminati Card Game Shows Japan Earthquake Disasters. This is very useful information for online blog review readers. Keep it up such a wonderful posting like this.